…or was that last month? JUST KIDDING! Although it seems like every year the shopping season really does move back a bit earlier. 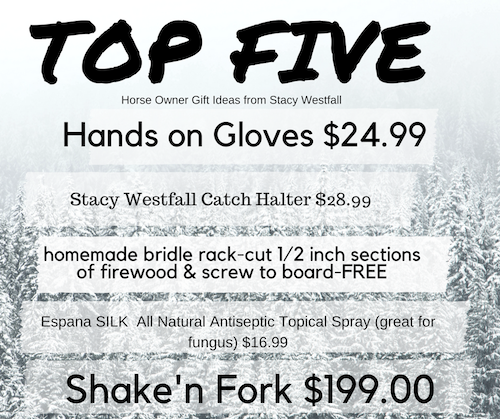 As I was grooming my horse yesterday and marveling again at my new favorite barn item (hint: the first one on my list) I decided I should take an inventory of my top five favorite items. It turns out that my list covers prices beginning at FREE (if your willing to do some work) and is mostly around the twenty dollar mark…with one obviously glaring exception. Stacy Westfall Catch Halter, $28.99. Yes, thats my name…which makes it a bit awkward but if you lead a horse in and out as often as I do, or better yet multiple horses…you’ll fall in love. A barn manager friend in Kentucky tried one and then ordered five. Simple. Quick and fits everyone. This one halter fits small, average and large horse heads which means that if I grab this halter I can lead anyone. 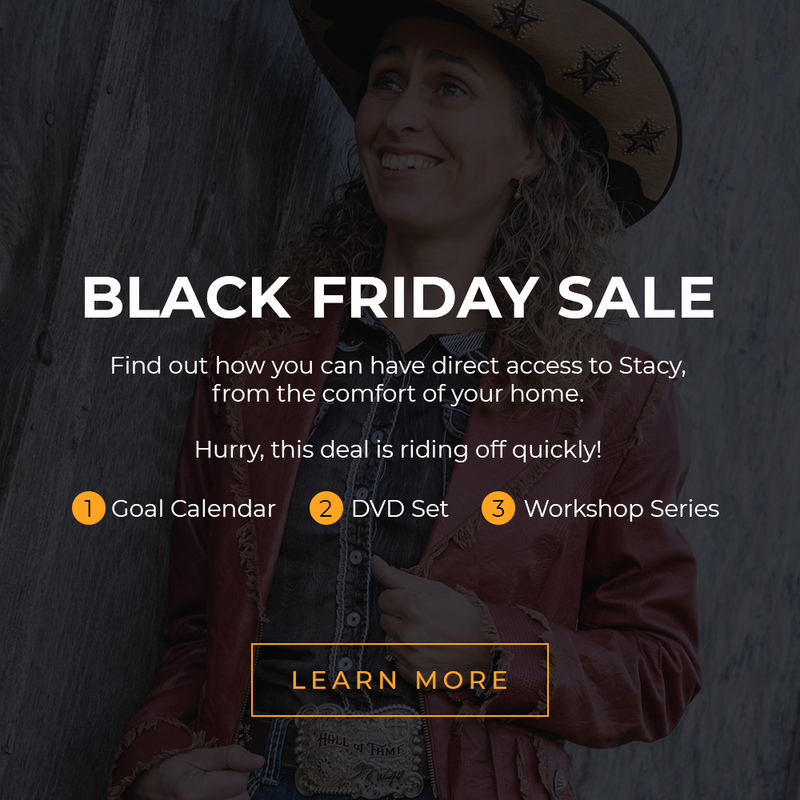 No more matching halters in the dark (yeah, maybe I should do chores earlier but…) Plus, in this price range it makes a great gift idea for that horse friend that has everything…well, almost everything. Home made bridle rack, FREE. Even easier if you can get your husband to make them (worked well for me anyway:) In fitting with our rustic theme I looked around at left over building material. One left over board and one smallish diameter piece of firewood later and we had a bridle rack. The great thing is that you can cut each section of firewood at whatever length you desire. Then screw from the backside of the board into the round disk of wood you cut and BAM! You have a bridle rack. I had eight foot long openings so we found long boards and put nine or ten hangers on each one. 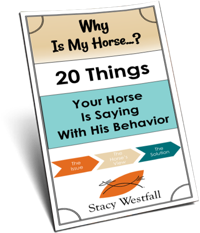 I hang halters, leads, lunge lines…I’ll dig around for a photo or I can write a better description if this isn’t clear enough. Just ask in the comments. Espana SILK All Natural Antiseptic Topical Spray, $16.99 (different sizes available). This item has a matching shampoo and is my newest barn favorite. One of my horses developed a girth fungus and I was using medicine that required wearing rubber gloves. On day three of treatment I decided there had to be a better way and started digging around. Thats when I found the bottle of Antiseptic Spray that Trudy (the owner) had given me. I hadn’t had a reason to use it…until now. WOW! I am soooooo glad that I did. First off it smells AMAZING, second, I can use it with my bare hand, which makes me feel better about scrubbing it onto my horse and BEST OF ALL…IT WORKED! Girth fungus cured while making my horse smell amazing. 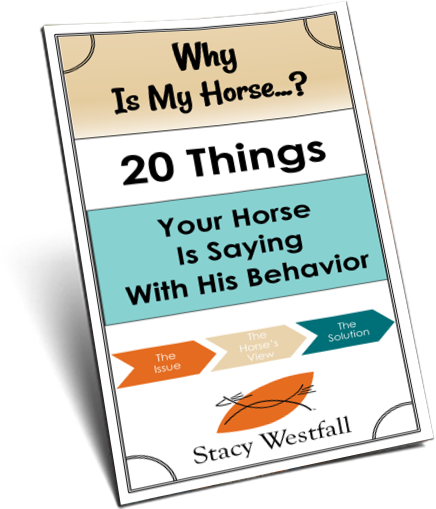 I have considered stealing it from the barn and taking it inside….maybe I should call Trudy and confess this…..she has no idea that I am doing this post, but if you read this feel free to tell her that I’m raving about her product and considering bathing in it myself! Shake’n Fork, $199.00, you may have seen my video using this fork a few years ago. About a million of you did (serious number…on my FB page) and I’m still sticking with it. They pulled a quote from my video and put it on their website, I said, “I thought it was kind of gimmicky when I first saw it, but when I used it, I fell in love with it. I actually searched out the Shake’n Fork to use it.” Yes, I called it gimmicky and refused to use it for several years…and then I took one home and tried it and…well, had to admit that I was WRONG. Serving of humble pie with Thanksgiving? I can handle it. Plus, I didn’t tell them last time I reviewed it (that million view time) but they figured it out…that was a funny phone call! They don’t know I’m mentioning it again. There you have it. My list from around the barn. I hope it helps you with your shopping. I’m planning my own Black Friday specials but you’ll have to wait until Black Friday to see them! 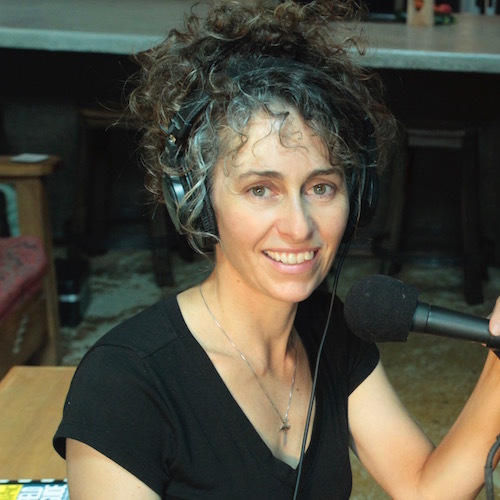 Interested in a coaching/mentoring call with Stacy? Click for more info. ← Do I give up my dream to train horses? Family or business? Hobby or dream? Took one pick but ran out of room on phone…working on it! I would love to se the bridle rack. I would LOVE to see a picture of the bridle rack.